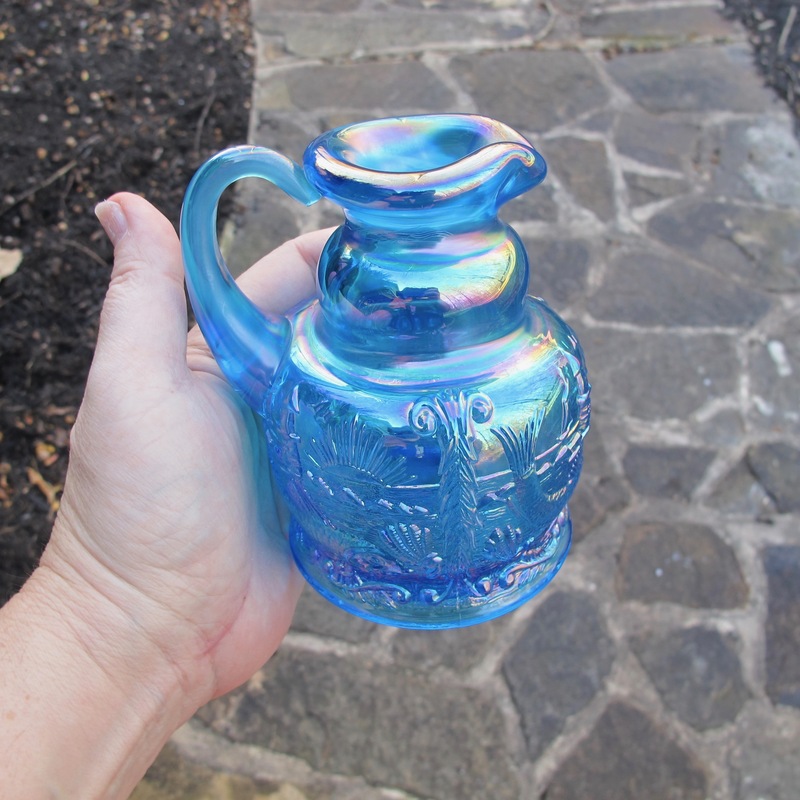 A ONE OF A KIND WHIMSEY! 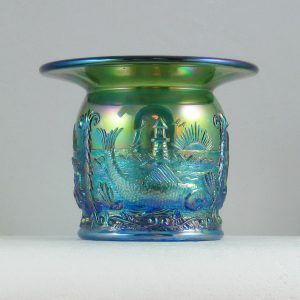 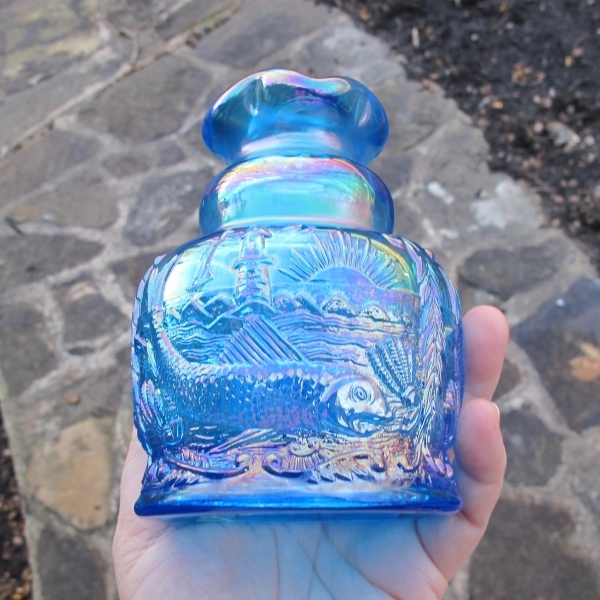 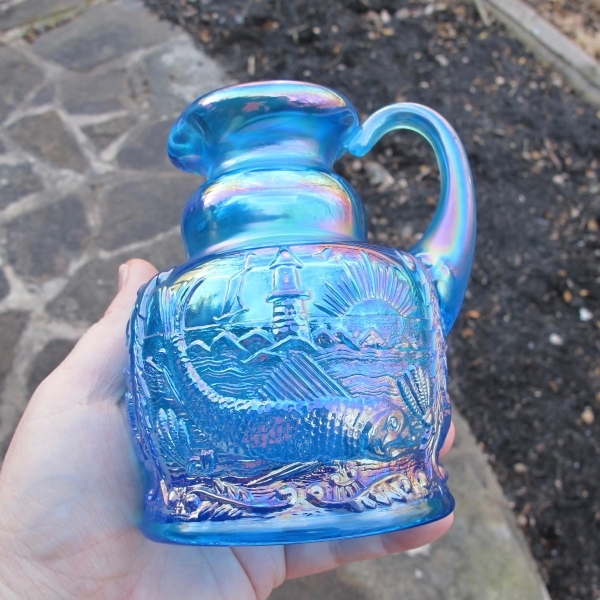 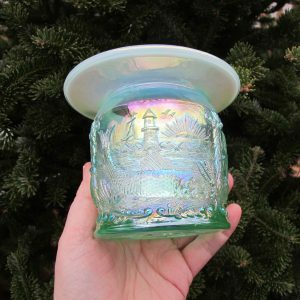 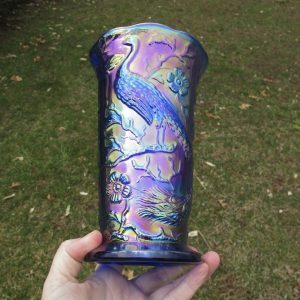 Here is a phenomenal piece of Fenton carnival glass! 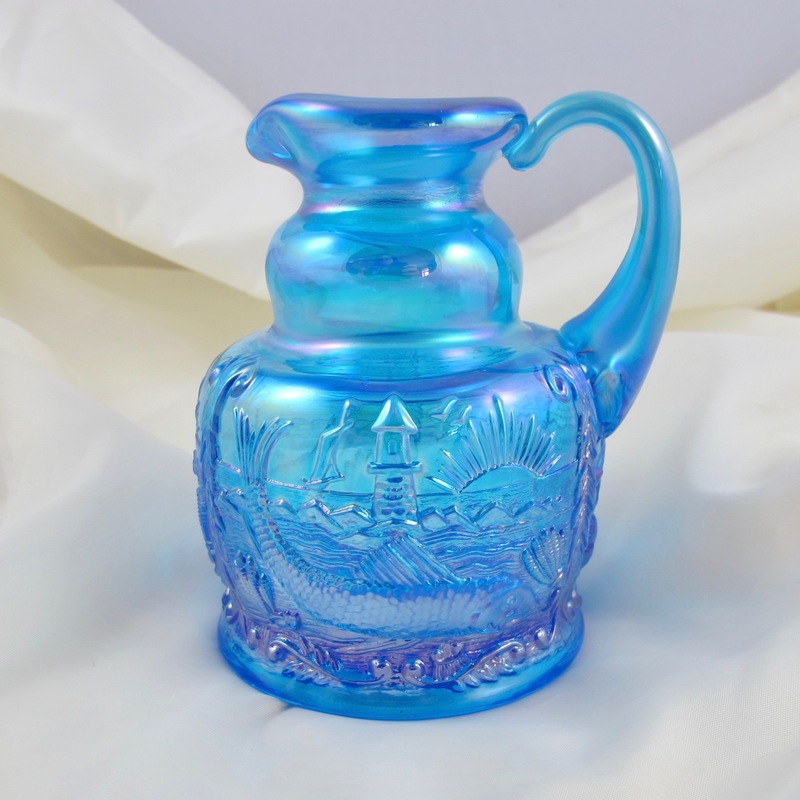 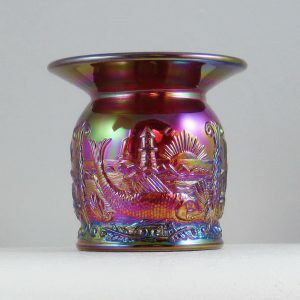 It was made by Fenton for the American Carnival Glass Association Convention in Elkhart, IN in 1985. This is a WHIMSEY in a pitcher or ewer shape! 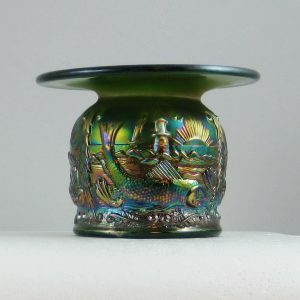 I’ve never seen one before. 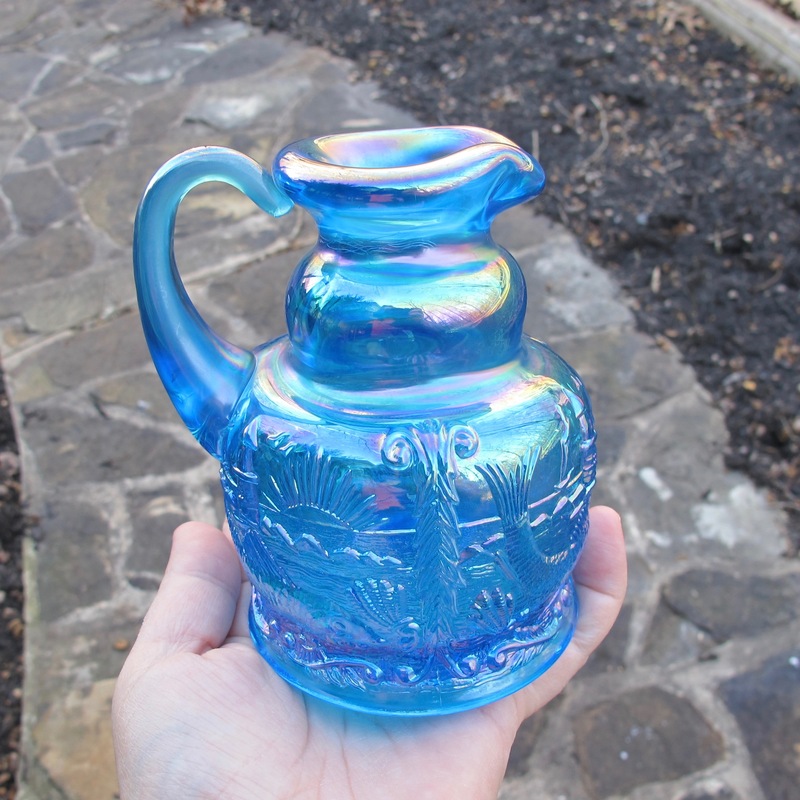 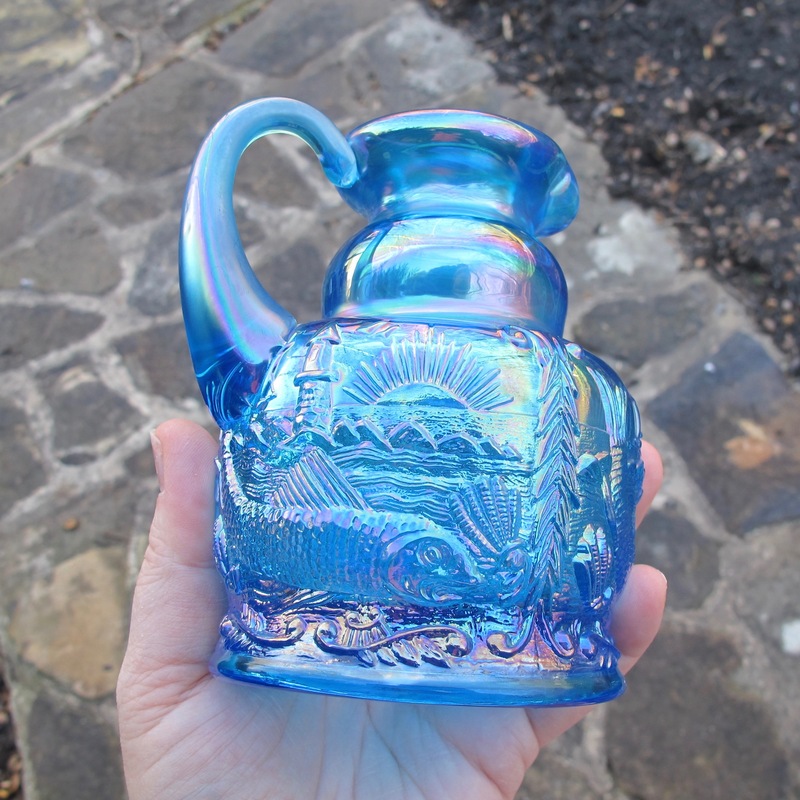 Handle and spout are terrifically well formed… done by a talented Fenton factory worker. Beautiful sapphire blue! Couldn’t be prettier! 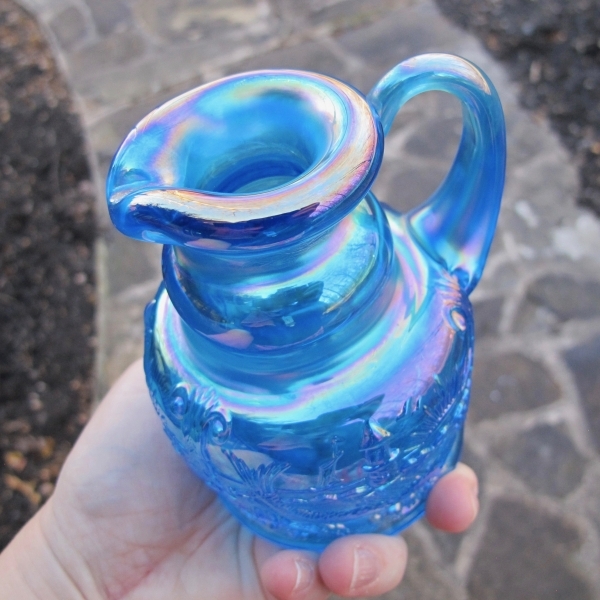 Glorious pinks and lavenders and other colors all the way around the ewer/pitcher! 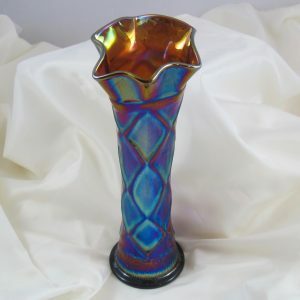 The pattern is amazing! Lighthouse, Rising Sun, Fish, Boats, Water … just beautiful! 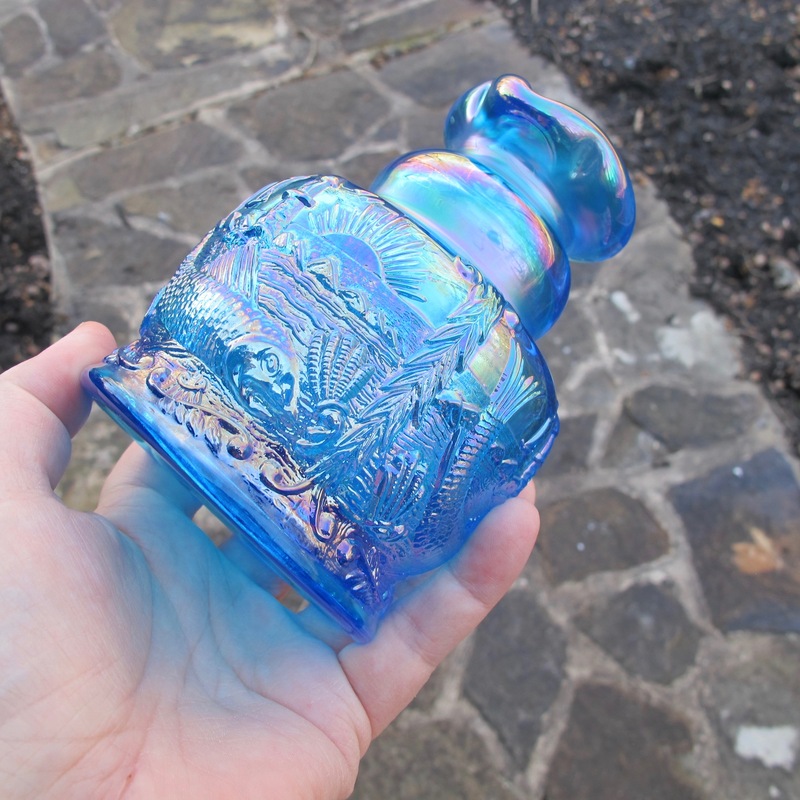 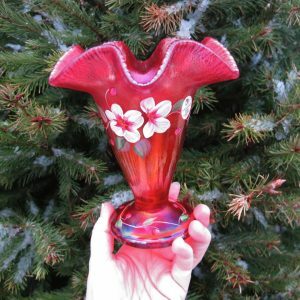 We have the regular spittoon shape also on the site for sale… THIS is a one of a kind whimsied piece! 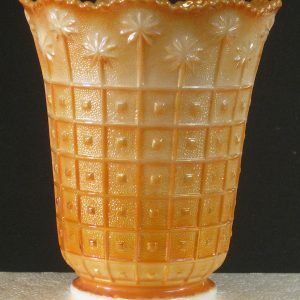 If you like rare Fenton, here is a piece for your collection! 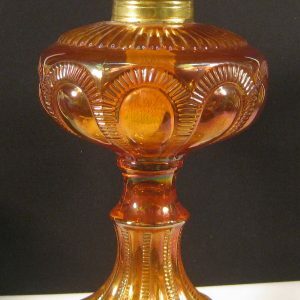 Made in 1985. 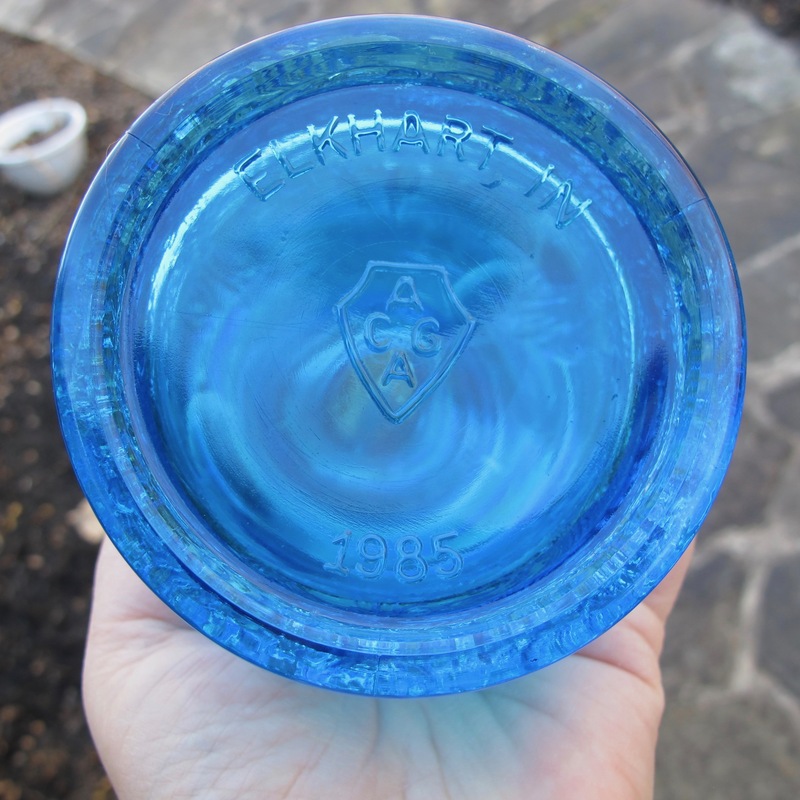 See base for markings.